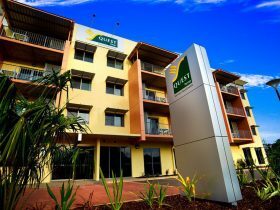 Palms City Resort offers boutique resort style accommodation in free standing villas and hotel rooms on The Esplanade in Darwin. 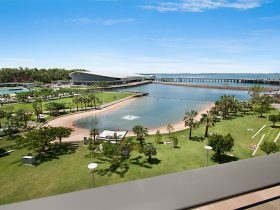 Overlooking the harbour and parkland foreshores and opposite Parliament House, the resort is close to Darwin shopping, restaurants and nightlife. 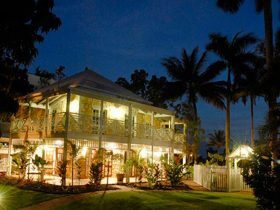 The resort was fully refurbished in 2015 and went on to win Best Standard Accommodation at the 2015 NT Tourism Brolga Awards! Wake up to a cooked breakfast each morning and relax by the free form swimming pool and sundeck surrounded by lush tropical gardens. 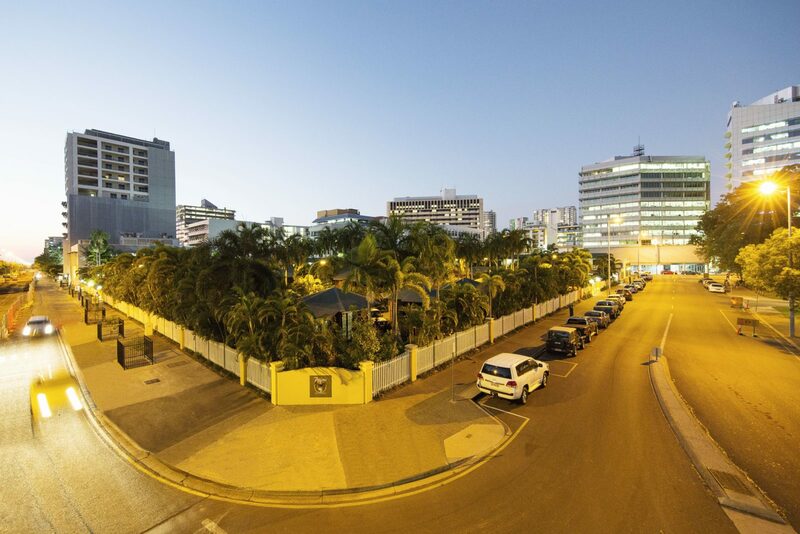 The hotel features free on-site car parking, 24-hour reception, wireless internet and conferencing facilities. Ask the friendly reception staff for recommended day trips and tours within easy distance from Palms City Resort. Browse the stalls at the Mindil Beach Sunset Markets every Thursday and Sunday during the dry season or take a stroll to the vibrant Wharf precinct for a variety of waterfront al a carte, buffet or bistro style restaurants. Enter the world of the giant Northern Territory Saltwater Crocodile, with some of the largest in captivity at Crocosaurus Cove or wander down to Doctors Gully at high tide to feed scores of hungry local fish. 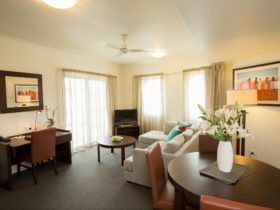 Queen Bed and Single Bed, Air Conditioning, TV with Foxtel Channels, Ceiling fan, Bar Fridge, Tea & Coffee Making Facilities and Ensuite Bathroom. 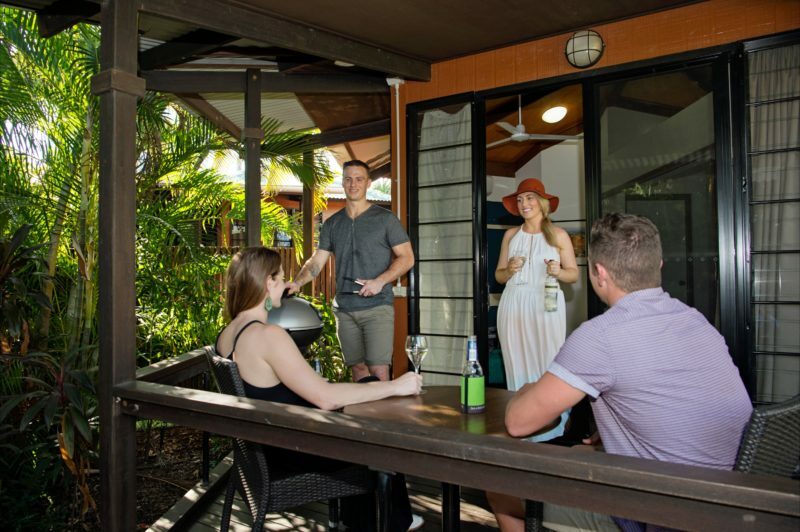 Garden Bungalow: Queen Bed, Air Conditioning, Ceiling Fan, TV with Foxtel Channels, Sink, Bar Fridge, Tea & Coffee Making Facilities, Microwave, Toaster, Ensuite Bathroom and a Private Verandah with Outdoor Setting and an Electric BBQ. 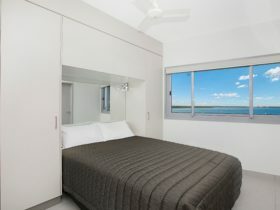 Larger Free Standing Villas with a Queen Bed, Air Conditioning, Ceiling Fan, TV with Foxtel Channels, Cooking Facilities Include Sink, Bar Fridge, Tea & Coffee Making Facilities, Microwave, Toaster, Stove Top Plates, Ensuite Bathroom with a Corner Spa Bath, Private Verandah with Outdoor Setting and an Electric BBQ. 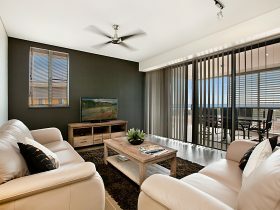 Larger Free Standing Villas with a Queen Bed, Air Conditioning, Ceiling Fan, TV with Foxtel Channels, Cooking Facilities Include Sink, Bar Fridge, Tea & Coffee Making Facilities, Microwave, Toaster, Stove Top Plates, Ensuite Bathroom, Private Verandah with Outdoor Setting and an Electric BBQ and an In Ground Outdoor Spa in the Courtyard. 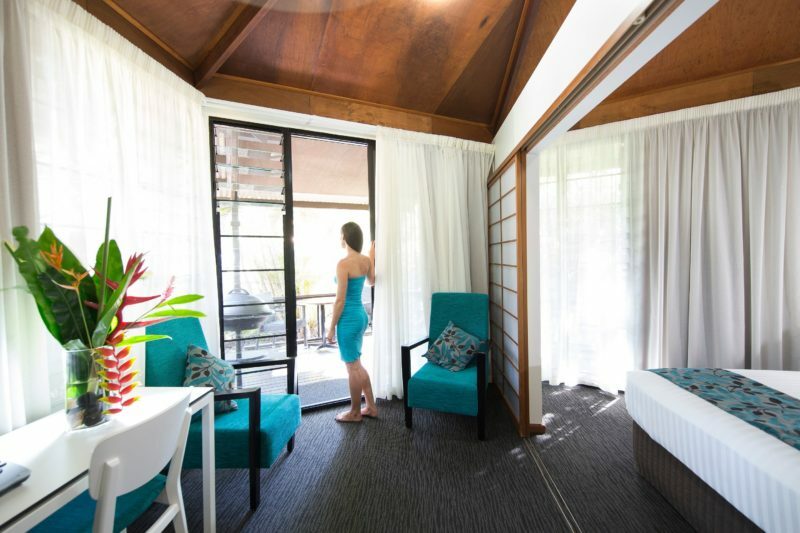 Large Free Standing Villas with a Queen Bed, Air Conditioning, Ceiling Fan, TV with Foxtel Channels, Sink, Bar Fridge, Tea & Coffee Making Facilities, Microwave, Toaster, Stove Top Plates, Ensuite Bathroom and a Private Verandah with Outdoor Setting and an Electric BBQ. Great low season specials all year round. 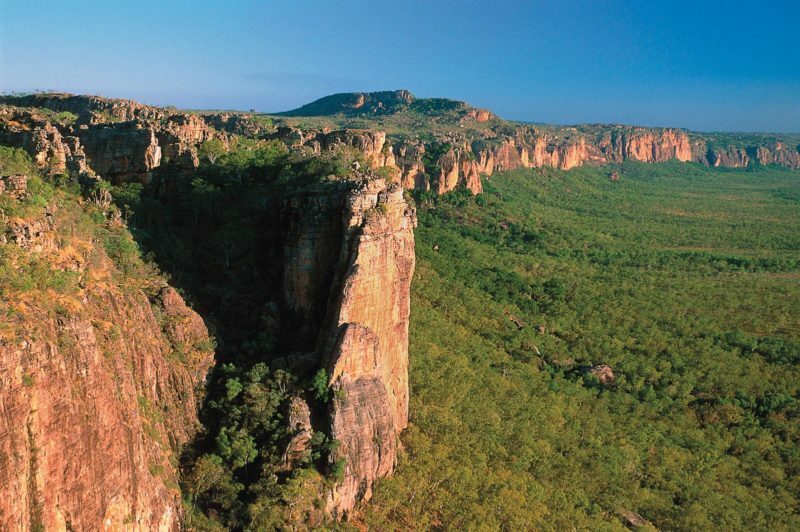 Come see us in the wet season!